We’ve all had that moment. Keys in hand, we head to the garage, pop open the door and push the garage door opener button, only for nothing to happen. Usually, there’s a dramatic unveiling of your driveway as your garage floods with the beautiful light of a sunny day in Cape Coral. But today, there’s nothing. Looks like your garage isn’t working today. But don’t panic. Garage door problems are more common than you might think, and we’re glad to hear it. Without the need for garage door repairs in Cape Coral, the experts at Door Doctor Inc. would be out of business! 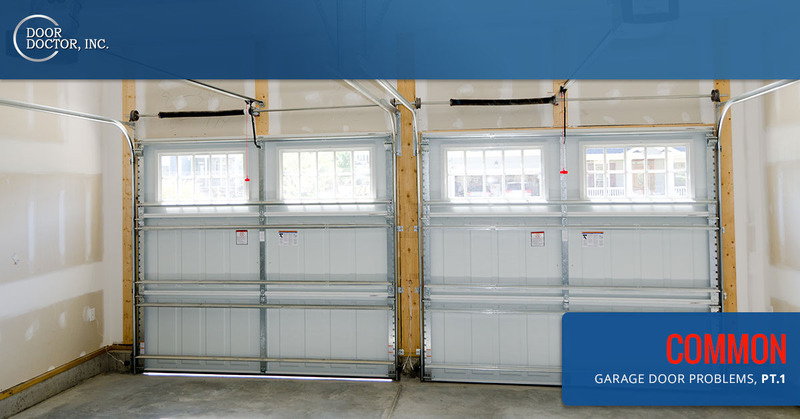 Today, we’ll cover some of the most common reasons your garage door won’t work. If that line makes it sound like your garage door opener is something out of Star Trek, you’re not far off. Your remote transmitter is the device that sends signals to your garage door to open and close. If the batteries in your remote transmitter are dead, it won’t open your garage door. If you suspect that the remote batteries are dead, trying opening the garage door from inside the house, using the transmitter unit there. If that works, but your remote doesn’t, your remote transmitter likely needs fresh batteries. Did you know that your garage has eyes? While it’s not exactly watching you, it is keeping an eye out for anything that is blocking the path of the garage door. Any garage door opener installed after 1993 has these clever eyes on either side of the garage door. These photo eyes send an invisible beam back and forth between each other that detects if anything is in the door’s path as it closes. This is a safety measure to ensure that nothing is caught under a closing garage door, and keeps people and objects from being injured or damaged. 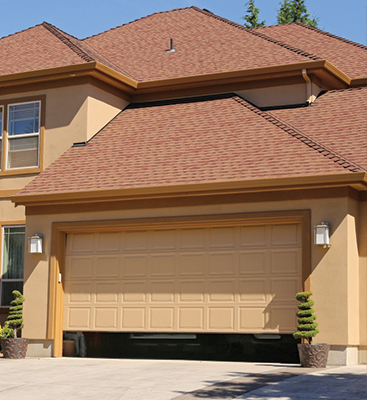 If your garage door will open without issue, but doesn’t seem to want to close, take a minute to inspect the photo eyes. You might find an errant rake parked in front of one of the eyes, or even a loose leaf. The eyes can also become misaligned if someone bumps something into them. You’ll want to make sure the two eyes match up on both sides. Once you’ve cleared the obstruction or realigned the eyes, try to close the door again. If your garage door is opening and closing, and you suddenly hear a loud KAPOW! It’s probably not your kids setting off fireworks in the garage. 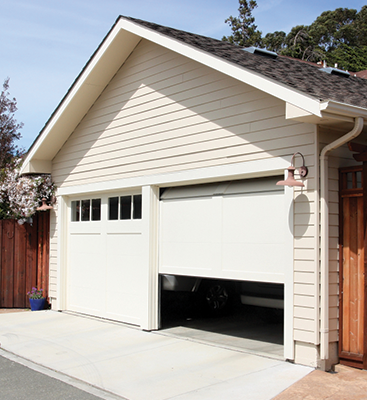 It likely means that your garage door torsion spring has broken. Torsion springs are rated to operate a certain number of opening and closing cycles, and because they are exposed to so much wear and tear, they are often the first thing to break on a garage door opener.However, if your garage door torsion spring has broken, it’s very important that you do not attempt to open the door, as this can cause damage to the door. Fortunately, these are among the most common of garage door repairs and are easy for a technician to repair. Have you worked through all of these problems, and still don’t see a solution? Well, there’s no need to scratch your head any longer. Give the garage door repair specialists at Door Doctor Inc. a call. We’ll wade through the busted belts, springs, and cables and put it all back together. 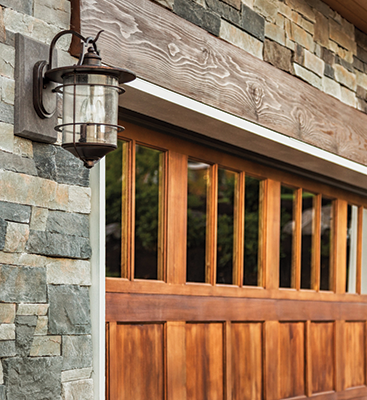 Your garage door opener will be back up and running before you even know it. Schedule your garage door repair services now!